Thank you for visiting our site http://www.fetlar.org/ (“the Site”). 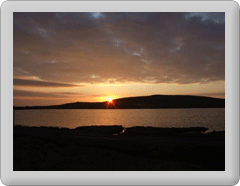 Throughout the terms and Conditions, when we refer to ‘we’, ‘us’, ‘our’ etc, we are referring to Fetlar.org. When we refer to ‘you’ we are referring to the user or browser of the Site. The content of this Site (except where otherwise stated) is copyright © Fetlar.org. This includes any text, scripts, applets, images, and graphics. You may print or download the content of this site for you own personal use only but all such prints and/or downloads should acknowledge that the material is copyright © Fetlar.org where appropriate. You may cache or store material from the Site for private on – or off – line browsing purposes only. The distribution or copying of the content of the Site or any part of the Site for any commercial purpose is specifically prohibited other than with the express written consent of Fetlar.org. A written licence for commercial distribution or copying may be obtained on request on such terms and at such costs as we may determine. Any trade mark, service mark or other intellectual property contained in or relating to this site are, unless otherwise explicitly stated, the property of Fetlar.org. The use of such trade marks, service marks or other intellectual property by users or viewers of this site is strictly forbidden. Please contact us and let us know at if you are aware of any inaccuracies and steps will be taken to correct them. This Site may contain hyperlinks to websites operated by other parties. These links are suggested for information only and our inclusion of hyperlinks to such websites does not imply any endorsement of views, statements or information contained in such websites. Care is advised in visiting any external sites linked from this Site. No liability is accepted for any information contained on any external site. If you consider that the content of any external site linked from this Site is illegal, immoral or offensive please advise Fetlar.org by contacting us. Fetlar.org reserves the right to update or modify these terms and Conditions. Any changes to these terms and Conditions will be posted on this Site.